The Everlast Fitness Flooring family of products has been manufactured by Ecore since 1989. Their gym flooring rolls along with each product in this offering consists of composition rubber. 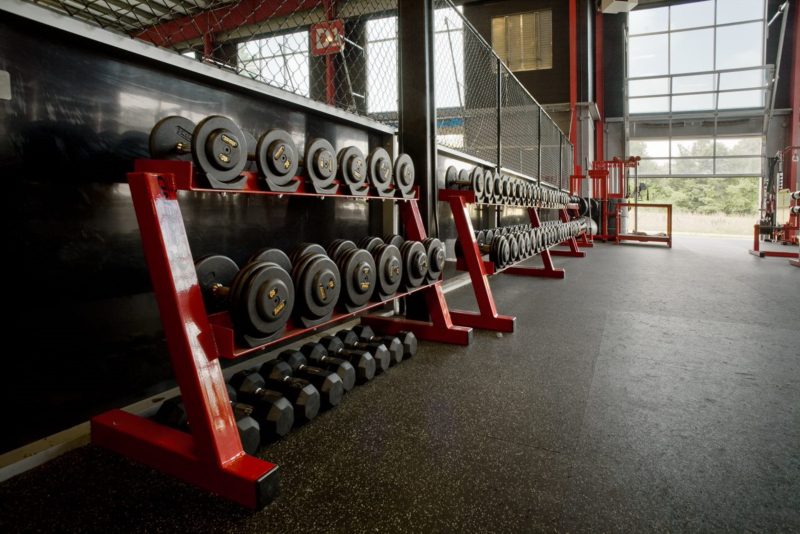 Everlast Fitness Flooring is durable, while having excellent slip resistant properties. Rubber's inherent traits make it superior at absorbing impact force. 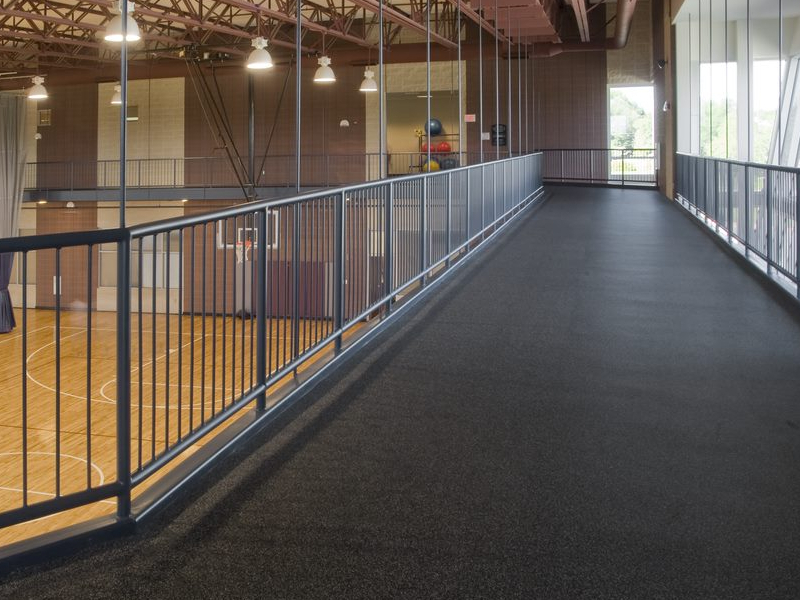 This unique combination of attributes makes composition rubber the ideal choice for fitness applications and commercial gyms. As Sport Court Carolina we offer three different Fitness Flooring from this family product. Basic Rolls and Tiles are the “original” composition rubber fitness floor. Available in rolls and tiles, this durable surface sets the standard for performance, quality, and affordability. 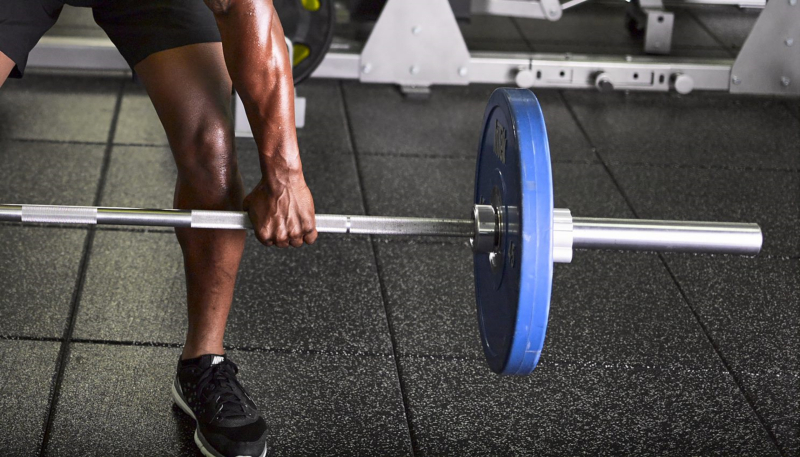 Basic Roll Flooring is designed to withstand the abuse of a weightroom, while also being able to support heavy equipment and absorbing sound and shock. Thereby, this flooring has also good absorption for runs to reduce the impact on the knees. Gym owners need a floor that will withstand the daily rigors of gym life and is easy-to-clean, while still being attractive. Installing Basic Roll athletic fitness flooring does all of these things, while eliminating wastefulness. UltraTile is designed with a patented “ultra” high-density wear layer on a molded base. This 24-by-24-by-1-inch modular tile offers enhanced shock absorption against impact in moderate to extreme weight drop applications. UltraTiles™ are available in rolls or interlocking tiles and have many standard colors with unlimited custom color and logo capabilities. Containing the highest quality materials to provide superior UV stability and abrasion resistance, UltraTile is produced with ColorMill®. UltraTile sports surfacing products pass the most stringent tests for indoor air quality, low-Volatile Organic Compounds (VOC) emissions, and are PVC free. Everlast with Nike Grind roll goods mean easy and fast installation and a virtually seamless appearance. Everlast Rolls come in 55 standard colors. In addition, Everlast’s custom color and logo capabilities ensure limitless design options. Rolls are 4’ wide and come in 6, 8 and 9mm thickness. We would like to help you with providing the Flooring you have in your mind. Contact us so we can team up as soon as possible.